A 63-year-old man who was participating in the Jim McDonnell Lake Swim at Lake Audubon died on Sunday after losing consciousness during the event. The lake swims are an annual Memorial Day weekend event organized and hosted by the Reston Masters Swim Team. Swimmers take part in a two-mile open water loop around Lake Audubon. Dr. Kennon Woods, a dentist from Raleigh, N.C., was removed from the water about 11:45 a.m. by on-site emergency medical staff using an aquatic vehicle, Reston Association said. CPR was initiated and he was transferred to an ambulance and taken to Reston Hospital, where he was pronounced dead from cardiopulmonary arrest. While Woods’ death took place at an RA lake, it was not an RA-sponsored event. Reston Association works with the Reston Masters Swim Team each year prior to this event to ensure procedures are in place. Specifically, RA advises and coordinates logistics for borrowing boats and other equipment. The Reston Masters Swim Team is responsible for safety measures and forming the Emergency Action Plan, which reportedly functioned as planned on Sunday. The swimmer was removed from the water within one minute, allowing EMS to immediately transport him to Reston Hospital. The Jim McDonnell Lake Swim has been held for the last 28 years. It is named in memory of avid Reston Masters swimmer Jim McDonnell, who died in 1998 of lymphoma. Lake Audubon will be the site later this summer of an open water swim and the swim portion of the triathlon at the 2015 World Police Fire Games. 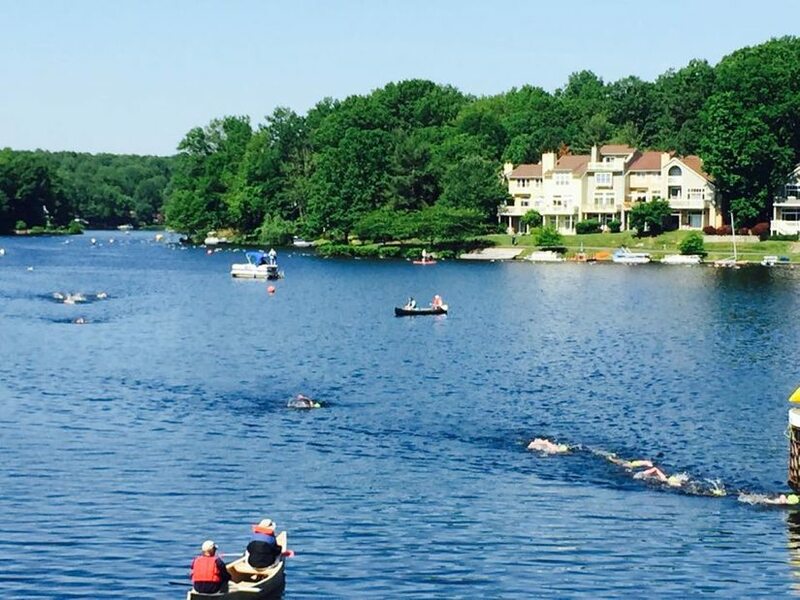 It will also hold the swim portion of the Reston Triathlon in September.